Disclosure- I received these cups free from Ozeri for my honest opinions. Also this post contains affiliate links. If you came to visit me, stepped into my kitchen to grab a cup to drink, and seen how my cups looks, you'd be like, "Louida, when was the last time you purchased new cups?" Yes, it's that bad! My cupboard is full of little kids plastic cups with the decor fading from them, glass and ceramic cups I got when I first moved to Georgia which was in 2006! My daughters managed to break several of them over the years too. I really need to get new cups as well as new dishware. I never really have much guest over besides my children's grandmother and my father and his wife once a year, so I really never gave it any thought. Well now I have new cups (it's a start)! 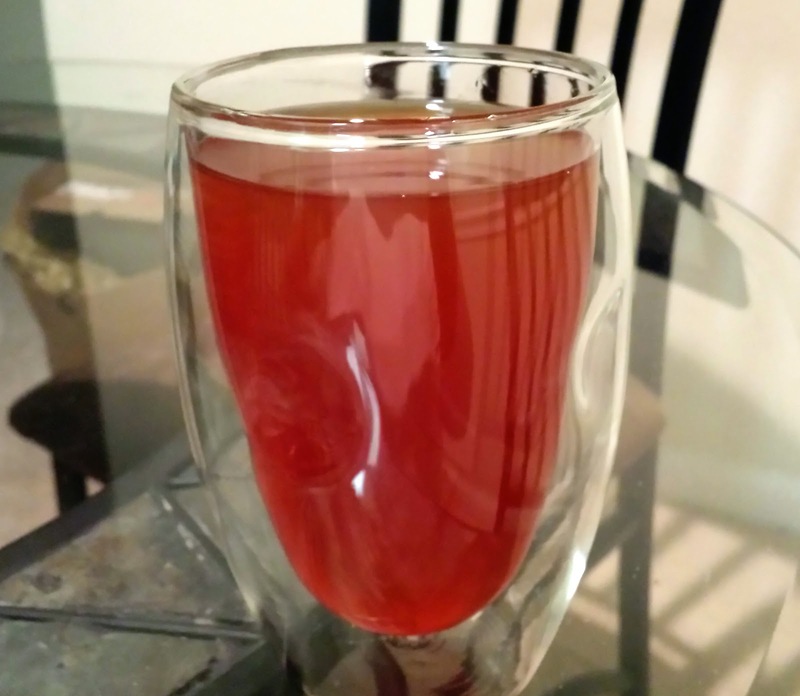 Thanks to Ozeri, I was able to review their Moderna 8 Double-Wall Thermo Glasses. 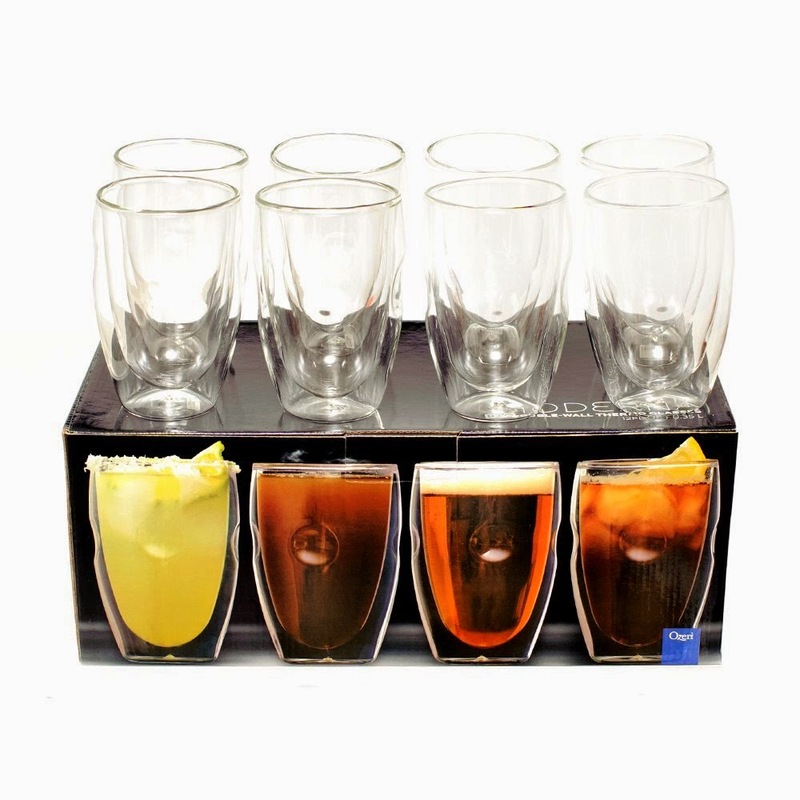 Set of 8 heat and shatter resistant borosilicate glasses that each holds 12 oz. Each glass features two opposing mouth-blown dimples that allow for a natural and effortless grip. Patent-pending double wall design that suspends drinks within an inner wall, creating an engaging optical effect. Designed to keep your hands cool with hot drinks, and free of condensation with chilled beverages. Completely microwave and freezer safe. Great for coffee, cappuccinos, hot or iced teas, cocktails, frozen beverages, and more. The MODERNA glasses are completely dishwasher, microwave and freezer safe. These cups are awesome! It really does keeps your hands cool when you're having a hot drink. The thermo cup reminds me of the on-the-go thermo cups with lids that also keeps your hands cool while drinking a hot beverage. 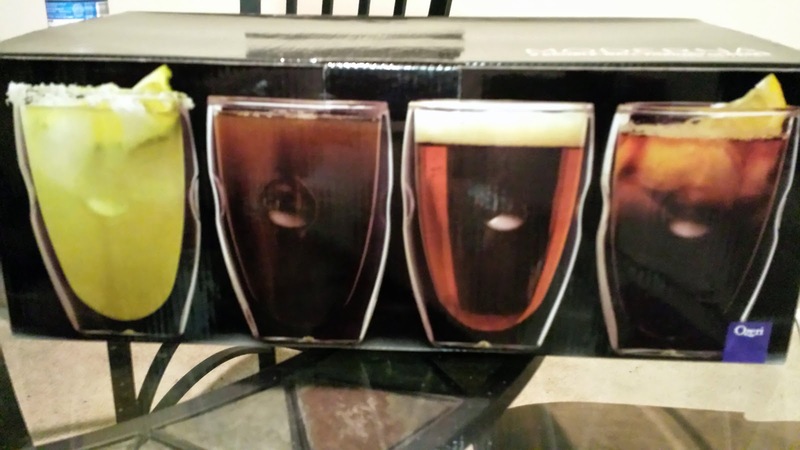 These cups beautifully displays my drinks. I like how the dimples on the side of the cups prevents my hands from slipping. The cups are stylish and are great to use when you're entertaining guest. I also don't have to worry about my daughters breaking it. Now it's time to start purging my cupboard and making room for my brand new cups! YAY! Is Moderna 8 Double-Wall Thermo Glasses by Ozeri Worth a Try? If you're in the market for some new cups, definitely pick up a case of Monderna Thermo Glasses. They are a bit pricey at $64.95 but is well worth the price if you're looking for some great cups. When was the last time you bought new cups? I need cups like these I normally get the cheap ones at walmart but I need to step my game up big time. Kita you're just like me. When I do look for housewares I look for the cheapest ones at Walmart and wonder why it doesn't last. I like the sound of these, and I needed some new glasses anyway! I will have to check them out. :) Thanks!! Very nice! I love the fact that they stay cool even with hot liquids inside. Definitely needed! Yeah my dishware is soon to be nothing left. These are really pretty and I love double wall glasses. You sound like me... We also just FINALLY bought new cups!!! These cups however look cool w the features it provides. My boyfriend and I are getting a place together, and we've been looking into getting some new glasses. These look awesome! These look awesome! I am in desperate need of some new glasses and these look like they will fit the bill perfectly. You'll really enjoy these Katy! These look nice but pricey indeed lol....it would be cool to drink coffee or tea from a clear glass that won't burn your hands. Yeah that's the best feature about these cups that it doesn't burn your hands. I just wish it wasn't so expensive. I really like these, but like Takei said, they're a bit too pricey. But I guess when you add the cost of the hundreds of cups we seem to have at home, these are probably more cost effective. Yes they are cost effective and I can tell these cups will last longer. SOLD! I need something for my hot bevs that will keep them warm longer! No I haven't tried them in the freezer Victoria. I never had a reason to put them there.